A suite of Central Asian dance to celebrate the holidays. Silk Road brings extra sparkle and delight to a wedding. Silk Road performs Saturday afternoon at this renowned East Coast festival. 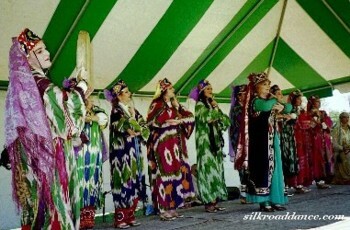 Silk Road presents a suite of Uzbek, Tajik, Afghani, and Iranian dances. Silk Road helps celebrate the two-hour awards program with a Persian dance performance. Silk Road performs dances as part of ''State of the Arts'' cultural series. A diverse suite of dances celebrates Silk Road cultures, including the premiere of our new Azerbaijani Suite. Silk Road Dance Company, with Uzbek guests Qizlarhon Dusmuhamedova and Tufakhon Pinkosova, presents a fashion show featuring antique costumes from Silk Road Cultures. Show at the Silk Grove area on the National Mall. National Zoo daytime shows and evening Gala Reception and Dinner with Master of Ceremonies Bill Moyers at the Omni Shoreham Hotel. Sponsored by the Library's Asian-American Cultural Association, SRDC presents a program of dances from Central Asia to help celebrate Asian-American Heritage Month. 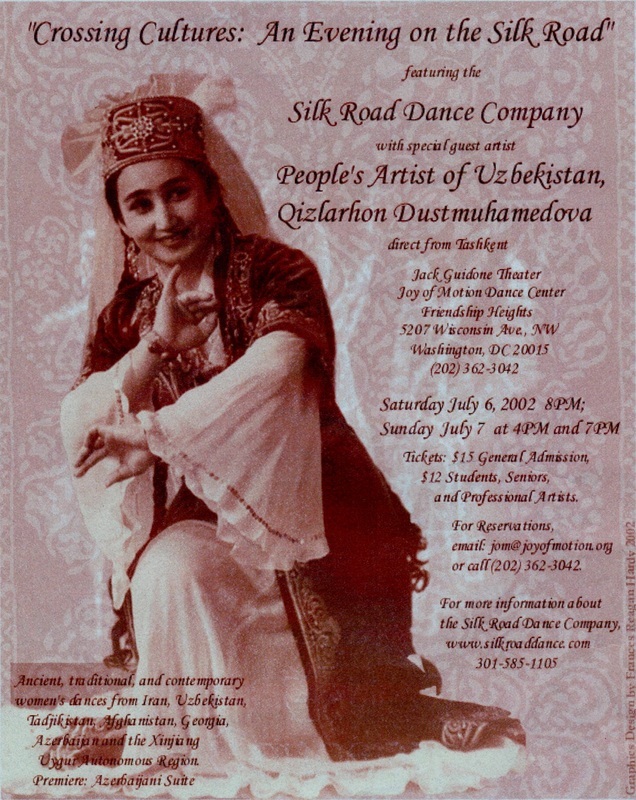 A 90-minute concert by Silk Road featuring a wide selection of dances from our repertoire. Silk Road Dance Company helps create an atmosphere of myth and mystery with several performances at this gala event. Members of SRDC perform at benefit for Voice of Roma. SRDC performs traditional dances at Christian and Islamic Family Day. Silk Road dancers help celebrate Persian New Year party for members of Mehr Lodge and their guests. Guest appearances by SRDC in the Jack Guidone Theater. Artistic Director Laurel Victoria Gray performs at Persian New Year party hosted by the International Society of Scholars, which awarded her a certificate of Honor for her "great services...in the field of the Performing Arts of Central Asia." Silk Road dances help kick off Catholic Relief Services' International Women's Day celebration with the theme, Women's Journeys. Silk Road presents dances of Central Asia as part of a reception following a conference on ending torture in Central Asia. Lecture/Demonstration by Laurel Victoria Gray and Silk Road Dance Company. "Spring on the Silk Road" celebrates the Iranian and Central Asian celebration of the New Year at the Spring Equinox. "Dances of the Islamic World" concert reveals the cultulral diversity of the Middle East and beyond. By special request, Silk Road Dance Company performs Kafkazi dances, with the bride Shadi as the featured soloist. 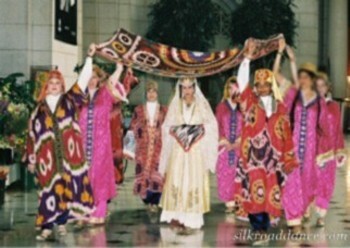 Silk Road Dance Company presents raditional dances and costumes from around the Arab World. Silk Road Dance Company performs choreographies by Laurel Victoria Gray with the San Antonio Symphony as part of the annual San Antonia Fiesta and the Coronation of the Queen. The rich traditions and ethnic diversity of the Islamic World comes to the stage in the lecture concert by Silk Road Dance Company. 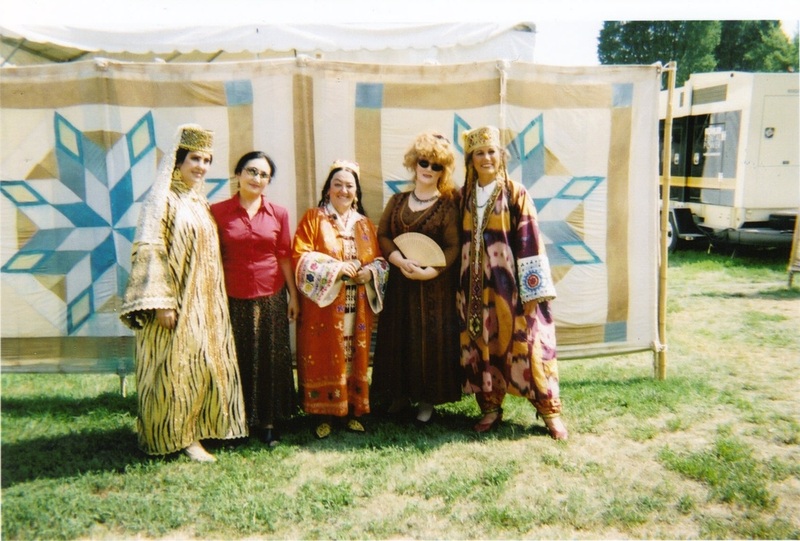 Afghani and Central Asian repertoire add a lively dimension to this fundraiser for Afghan women. Leading Washington, DC area dancers perform at this concert highlighting the end of the nominating season for the annual Dance Metro DC Awards. A Resident Arts Partner of Joy of Motion Dance Center, Silk Road Dance Company presents selections from our award-winning repertoire. 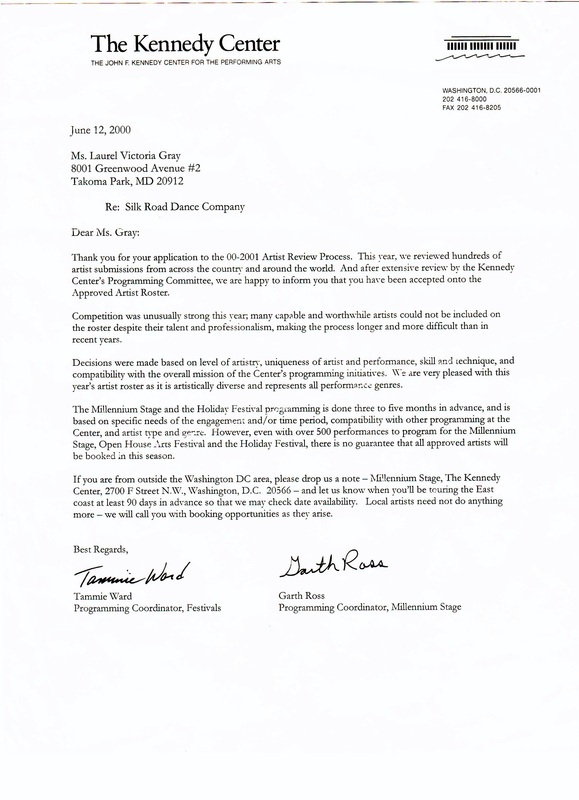 Winner of the 2003 Kennedy Center Local Dance Commissioning Project Award, Laurel Victoria Gray's dance drama Egypta draws on ancient Egyptian myths, legends, and history. Selected to represent the excellence and diversity of dance in Washington, DC, Silk Road Dance Company performs a suite of Azerbaijani dances. Dances from Silk Road Dance Company Legacy Repertoire of traditional Uzbek dances bring the culture of Uzbekistan to life for embassy guests. Silk Road Dance Company shares Egyptian dances at this festival celebrating African culture.